About a week ago, I was suddenly regretting the thought that 2004 was coming to an end; after all, that was the year for long-suffering Boston Red Sox fans and perhaps I was reluctant to let go so soon after enjoying everything that went the excitement of a World Series championship. From the first day of spring training right, through the trials and tribulations of the regular season and an even wilder post-season, and culminating with the awakening of my 18-month-old son to have him in front of the television when Foulke softly tossed the ball to Mientkiewicz at first, it was almost too difficult to detach myself from the emotions that I felt. 2004 will be a year that no one who was a fan of the Red Sox will soon forget. 2004 was the year that a prodigal son returned to the fold and joined the ace-in-residence to provide a one-two punch that few teams could match. 2004 was the year when Jason Varitek and his teammates collectively shoved their mitts in the face of the New York Yankees at Fenway Park on a warm July afternoon and sent a message that the season would not end that day. 2004 was the year that a young general manager took the biggest gamble of his brief career and traded the Franchise. 2004 was the year that it wasn’t over until Big Papi took one last cut. 2004 was the year that a bloody sock characterized what this “team of idiots” was willing to do to end the years of frustration. 2004 was the year that it was someone else’s turn to choke at the worst possible moment. 2004 was the year that, finally, was the year. However, perhaps there is much to look forward to with the dawn of 2005. For the first time in our lives as Red Sox fans (making the assumption that none of you reading this truly remember the last time it happened), we will watch our team play a season as defending world champions. For the first time, we won’t be wondering if this will finally be the year but if our team can repeat the feat. For the first time, perennial doubt has been replaced with renewed excitement and we can walk around with our chests held out a little further and our heads held up a little higher. Am I aware that the other teams in the league will now approach their games against us with the intent of knocking us down from our lofty perch? Am I worried that Pedro Martinez has flown the coop after seven seasons in Boston to nest in the confines of the Mets organization next season? Do I dread the knowledge that Randy Johnson and Carl Pavano will be wearing pinstripes next season, as might Carlos Beltran, and that the Yankees will be looking to administer some payback for what happened in the American League Championship Series? My only response to these and other questions like those is that, if these are the dilemmas that come with being crowned as world champions, it’s good to be the king! There is no promise that this season will be anything like last season; it would be next to impossible to recapture the essence of that run a year ago. Nevertheless, I look forward to another exciting season of Red Sox baseball as I have every spring since I can remember. Varitek will be back behind the plate as captain of the team and no one will need to see a “C” sewn on his jersey to understand that. David Ortiz and Manny Ramirez will be back with their bats to provide that awesome one-two punch at the plate. Curt Schilling will be back on the mound every fifth day to expend every ounce of energy available to keep opposing teams frustrated at the plate. Johnny Damon will be back leading the charge in center field and in the lead-off spot. Terry Francona will be back in the dugout and Theo Epstein will be back in the front office, doing everything they can to assemble and develop another championship team. Best of all, on the second Monday of April, just a little before three in the afternoon, no matter what happens the rest of this season, a championship banner will be raised high above Fenway Park for everyone to see. 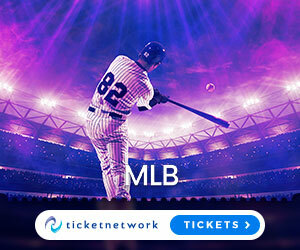 The fact that the rival New York Yankees, no matter how many guns have been hired, will get a front-row seat to the festivities only makes it that much sweeter. With no more talk of curses, 1918, the Bambino, or any other ghosts of the past 86 years that always seemed to stand by, waiting for the most inopportune moment, it’s truly going to be a happy new year.